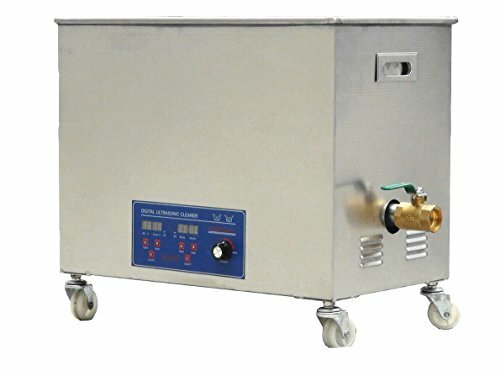 Ultrasonic cleaning machine is in advantage of ultrasonic cavitation, forming many tiny air bubbles in the liquid (water) to produce a shock wave after bursting to clean materials, directly or indirectly dispersing, emulsifying and stripping dirt and grease. There is no harm to materials. It's not only mute but also efficient. It can be used for object cleaning, degassing, sterilization, emulsification, mixing, displacement, extraction,etc in E-shop, industrial and mining enterprises, laboratories, hospitals, watch, glasses shops, jewelry store, mobile phone repair shop, and family. If you have any questions about this product by YUCHENGTECH, contact us by completing and submitting the form below. If you are looking for a specif part number, please include it with your message.